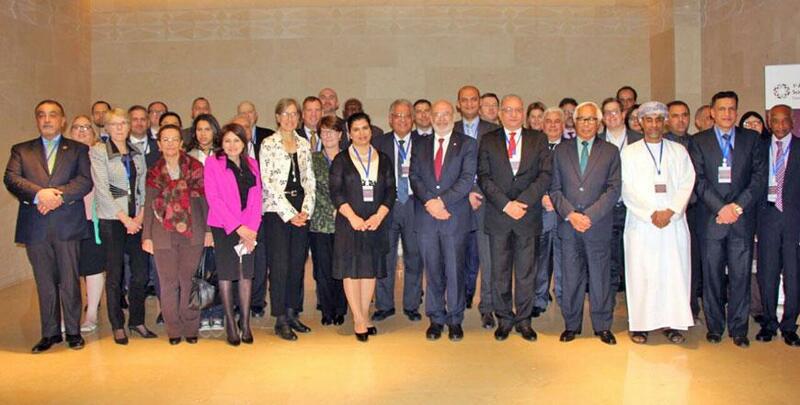 In December the UN- ESCWA Technology Center (ETC) and the Royal Scientific Society of Jordan (RSS) in partnership with INGSA, and CRDF Global are hosted the 1st Arab Leadership Dialogue on Science Advice to Governments. The meeting took place in Jordan under the patronage of HRH Princess Sumaya bint El Hassan, President of the Royal Scientific Society of Jordan and President of the Board of Governors of the UN-ETC. The leadership dialogue included almost 50 regional STI stakeholders from the Arab region and international organisations for a discussion on models and mechanisms of science advice and common practices at the interface between science and policy. Over two-day period, the meeting addressed a number of topics, that included the science advice landscape in the Arab region, principles of science advice, sustainable development goals and science, the role of science academies, science advice: practice and infrastructure, and science diplomacy. The participants also examined 6 case studies that were designed to gain in-depth insights into the policy dilemmas in different contexts. The meeting served as a significant step towards a larger dialogue for examining key issues of science advice in the Arab region. It offered an opportunity to exchange views on models and mechanisms of science advice that exist in Arab countries and the challenges it face. It also provided a platform to establish contacts among Arab participants and a group of international experts in the realm of science advice. The participants emphasized the need to formalize the role of science advice in the Arab countries by developing a clear roadmap with an interactive science advisory ecosystem that entails institutional mechanisms such as national academies and chief science advisors to governments, with the support of a legislative umbrella to ensure good governance.